In less than two weeks we all will be watching the Big Game (or at least all the commercials) and hanging out with friends! 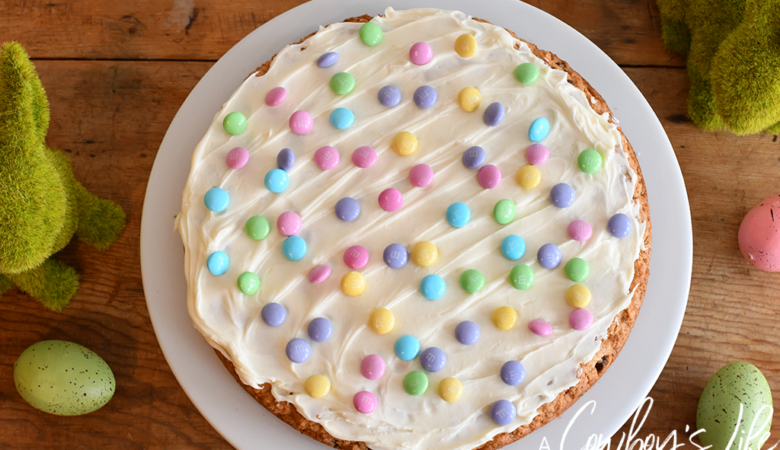 With guests coming over I already started doing a little party planning and getting the house ready for guests. Everyone focuses on the kitchen that sometimes you forget to stock up the bathroom on essentials. 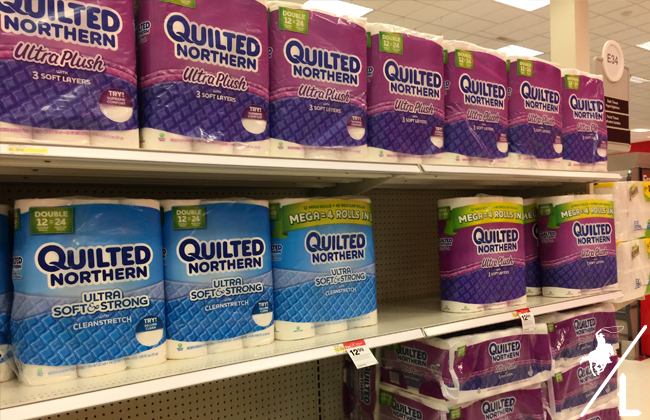 I headed to my local Target to stock up on party supplies and Quilted Northern Ultra Soft & Strong® Mega Rolls which can be found in the bath tissue aisle. Make sure to use the Cartwheel app to get 10% off. With a house full of guest you I like to keep the bathroom stocked with Quilted Northern® Mega Rolls because it’s a fuller roll and less roll changes. It’s always so awkward when you run out of TP & guest have to search through cabinets for more – that’s definitely a game day fumble! 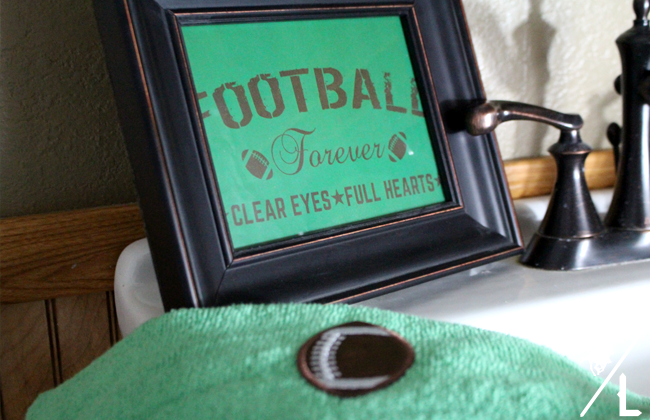 Besides the much needed essentials in the bathroom, I made this easy DIY football hand towel and printable for added decoration. 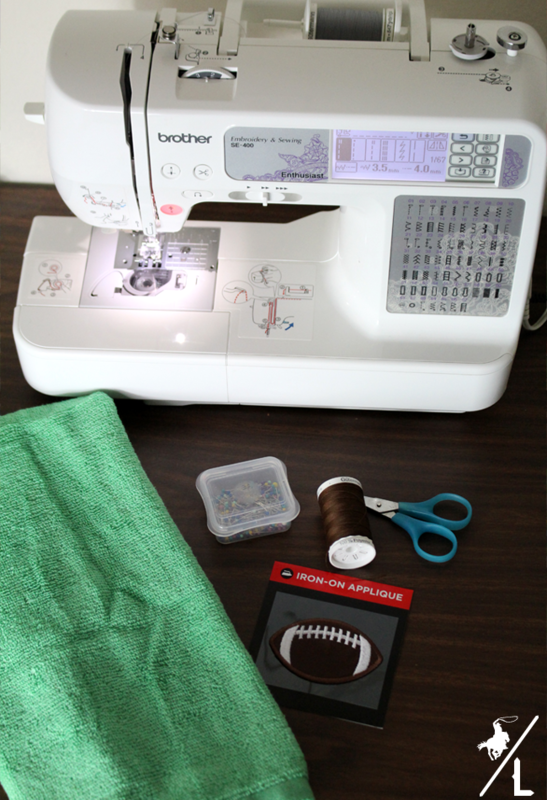 Using a basic stitch, sew on the edge of the football to reinforce the football. Cut ends of thread and the towel is ready to be used. *I like to reinforce the appliqué with a simple stitch around the design. With the towel being in constant use, I don’t want the football coming off during the party. 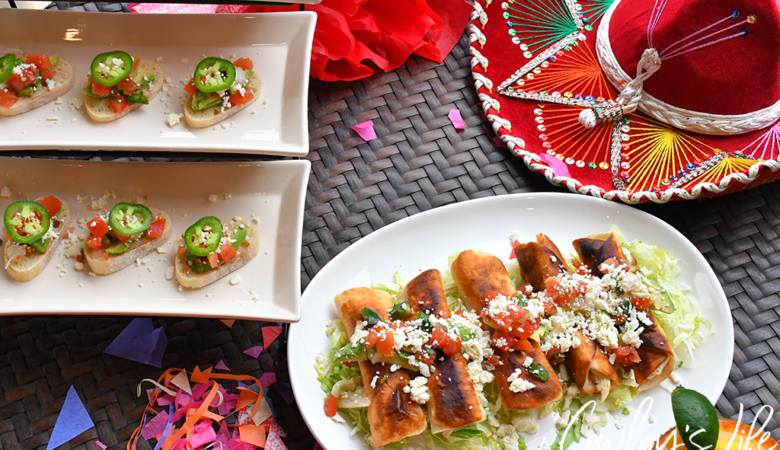 It doesn’t take much to be a winner when it comes to party planning. 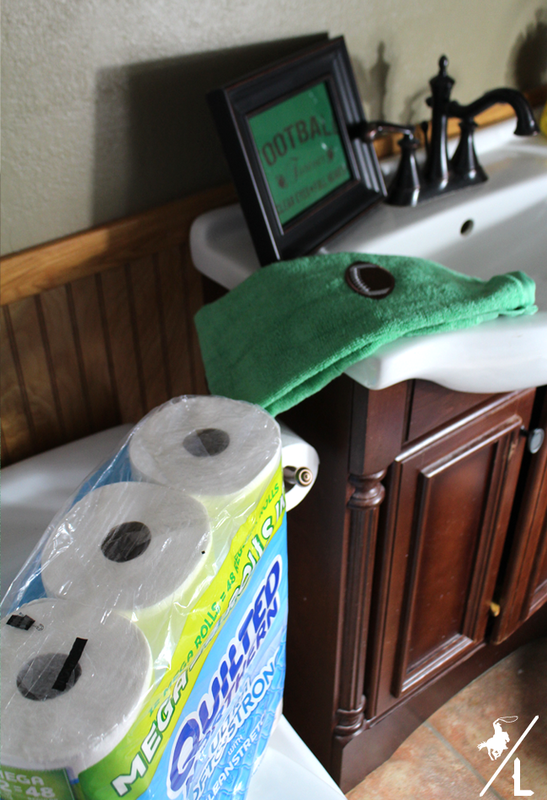 Just grab your free printable, make a quick football hand towel and be sure to use Quilted Northern Mega Rolls to ensure your bathroom is game day ready. 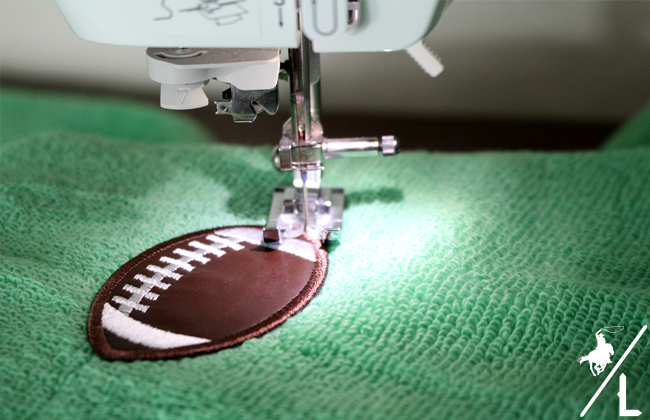 How do you get your home ready for the big game? To find more Quilted Northern inspiration, check out the social hub here. How cute is that, Chastity! Although sadly, it will have to wait til next year for me, as my 'Boys are done. Yep, bleed silver and blue here! Those are cute, and a great way to add a touch of support for your team to the bathroom. Giants fan here, by the way. 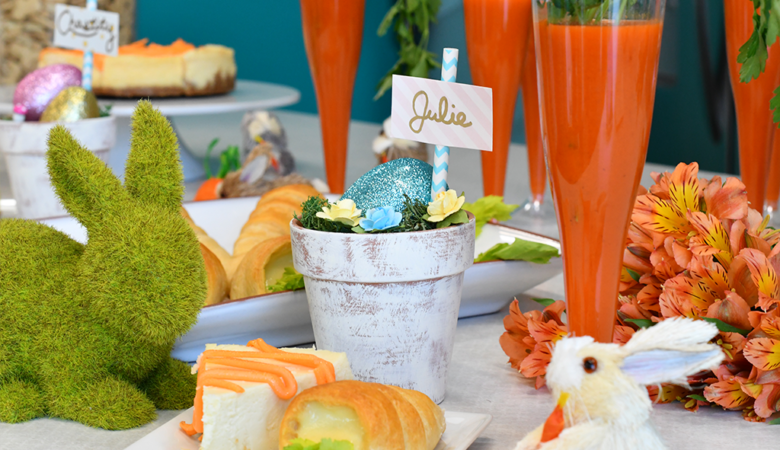 That is such a cute craft! We are huge football freaks so this is something I would love to try! 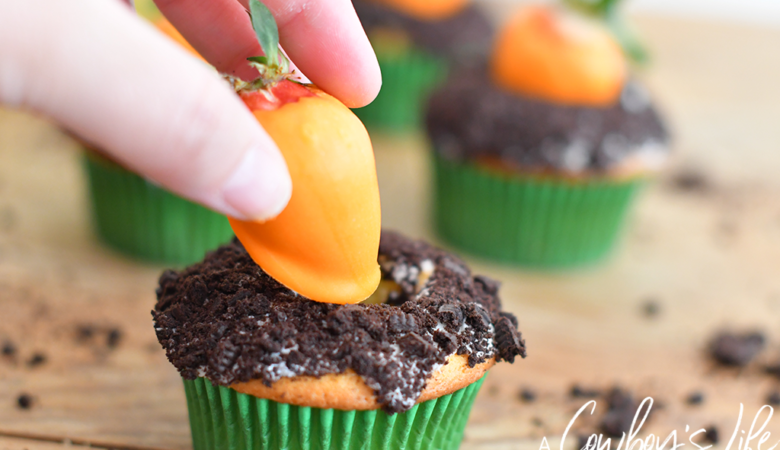 What a fun way to add some fun to your tailgating parties. I love decorating every room of the house. How cute! This is great to have for a big game get together. IT looks so simple too! I love this idea. I will be looking out for some football patches the next time I am in Walmart. 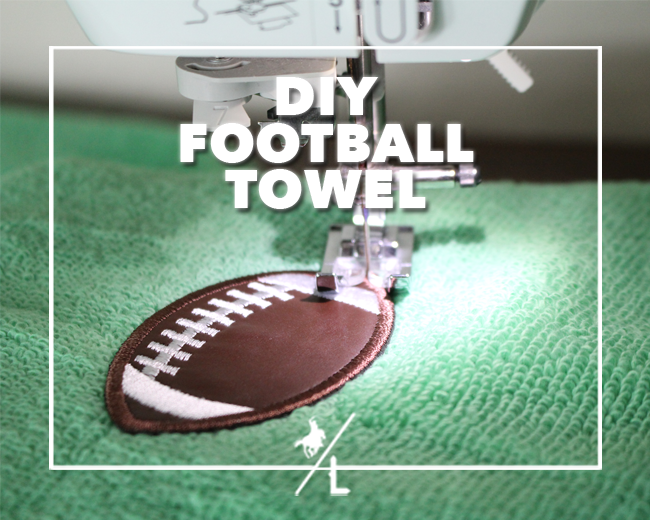 Oh, I love the idea of having football towels during the football season. Hubby would like it even more in his favorite team.